Homesteaders is committed to helping funeral professionals grow their businesses, and as we head into the busy convention and training season, we’re striving to offer even more opportunities to learn best practices and develop skills in ways that deliver positive results. In addition to expanding these opportunities, we’re also continuously improving the insights we share and the experience we provide to meet the evolving needs of funeral professionals and the families they serve. Now in its fifth year, the Certificate in Strategic Business Management course offers intensive training on people and processes, marketing and social media techniques, employee retention and engagement, business planning and strategy. Who it’s for: Funeral home owners, managers and candidates for succession. Why you should attend: This course teaches innovative business practices and provides ideas you can apply immediately to your business operations. You’ll gain exclusive knowledge from case studies, practical exercises, a site visit to a leading funeral home and much more. More details: In celebration of this event's fifth year, we’re offering a reduced registration fee of $845, which includes instruction facilitated by the Drake University College of Business & Public Administration, learning materials and some meals. Funeral professionals and insurance agents across the country rely on Homesteaders for top-quality continuing education classes that qualify for CEUs in select states. These courses are designed to help you develop the skills you need to achieve success. Who it’s for: Funeral professionals and insurance agents. Why you should attend: Homesteaders continuing education classes offer the opportunity to earn continuing education credit (where available), get up-to-date information about topics that impact your business and network with your peers. Dates: Various dates through November 2019. Each class location hosts two days of learning, and you can attend one or both depending on your schedule and needs. Locations: Upcoming courses will be held in Illinois, Iowa, Pennsylvania, Ohio and North Carolina. More details: Each course costs $75 per day, which includes lunch, filing fees and refreshments. Visit the Continuing Education page for the most up-to-date course details. The ICCFA Annual Convention & Expo helped us kick off a busy convention season, with many more events to come! We’re proud to take part in numerous events hosted by organizations that positively impact funeral professionals. Who they’re for: Funeral directors and other professionals whose businesses are related to funeral service. Why you should attend: State, regional and national conventions provide a way to learn best practices, network with other professionals and find out about the newest products and services from companies that serve the funeral profession. Dates/locations: Visit our Events page or refer to your association for details about upcoming events. More details: Registration fees vary by event, and many event hosts also reserve a block of hotel rooms at a discounted rate. Homesteaders recognizes the value of continuous skill development, which is why we offer training to help pre-need professionals reach more families. This immersive training is designed to meet the needs of new and experienced professionals. Who it’s for: Pre-need professionals. Why you should attend: Attendees experience intensive sessions with expert presenters and peers from across the country. The course curriculum can help you address professional challenges and better serve client families. More details: There is no course fee for Homesteaders customers. 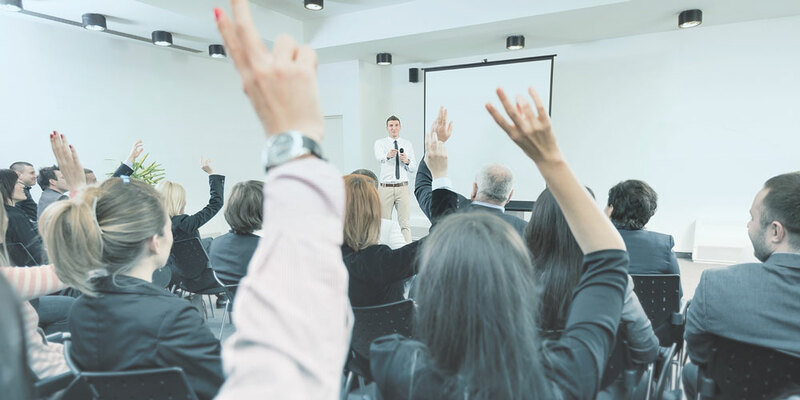 Training events are offered at numerous locations throughout the year – contact your account executive to find out about available opportunities. Homesteaders and Kates-Boylston have teamed up to present the second annual Pre-need Summit. This action-packed event offers two learning tracks – one for managers and one for producers – to help address specific opportunities and challenges in today’s market. Who it’s for: Funeral home owners, managers and producers. Why you should attend: You’ll engage with experts from inside and outside the funeral profession to discover how to make positive connections with the recently bereaved, recognize symptoms of burnout, engage in self-care and use social media and other resources to become an influencer and generate referrals. More details: Register soon to take advantage of the $395 early bird registration price (valid through August 30, 2019).